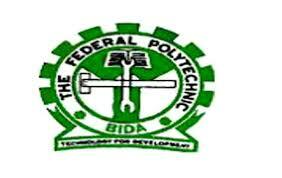 Federal Polytechnic, Bida (BIDAPOLY) Directorate of Continuing Education (DCE) Evening and Weekend Higher National Diploma, HND and National Diploma, ND Admission List for 2018/2019 Academic Session. This is to inform all the candidates that applied for admission into the evening and weekend programmes (both ND and HND) of the Federal Polytechnic, Bida (BIDAPOLY), Directorate of Continuing Education (DCE), for the 2018/2019 academic session that the admission list has been released. As at the time of this publication, Bida Poly ND and HND evening programmes admission lists are only available on the Notice Board in the Polytechnic. Prospective students are advised to check their admission status from the notice board. Congratulations to all the candidates that made it to Bida Poly evening programmes. NOTE: Comments are being Moderated and at Such Might Not Appear Immediately Until it is Been Reviewed and Approved by a Moderator. Always Remember to Tick the "Notify Me" Box before Submitting Your Comment to be Notified when the Comment is been Approved or When a Reply has been made to Your Comment.